Only the Grimsby Peach Kings are left standing between the Napanee Raiders and the Schmalz Cup. 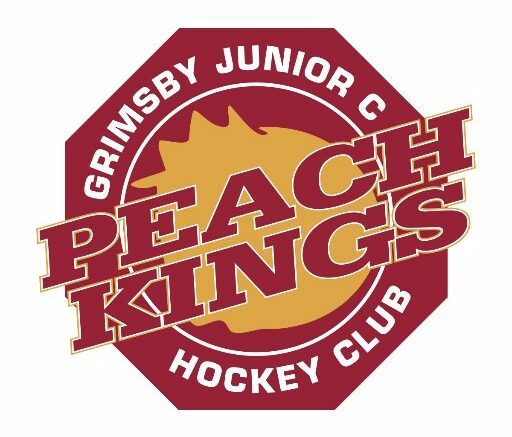 The Peach Kings knocked off the Exeter Hawks 4-3 on Saturday to clinch their Schmalz Cup semifinal series four games to two. The start date of the finals is yet to be determined. The two clubs meet with no prior history, having never faced each other in a regular season or playoff game. Like the Raiders, the Peach Kings dominated their home South Bloomfield Division, going 36-4-1-1 to finish tied for the top spot. They scored 194 goals compared to 72 allowed. Napanee meanwhile was 38-4-1-1 in their Tod Division with 264 goals scored and 71 allowed. While the Raiders found their extra gear come playoff time and have dominated to the tun of 16-0 since Game 1 of the Tod Division semifinals, the Peach Kings have had some challenges. They were 16-6 in their league playoffs, going 10-1 on the road but just 6-5 at home. The Hawks then gave them a bit of a run in the Schmalz Cup semifinals, holding a 2-1 series lead before Grimsby stormed back to win three straight. Maxime Pleau was Grimby’s biggest offensive threat of the semifinal series, scoring four goals and adding two assists in the six games played. Brady Cranwell and Jacob Balca each had two goals and four assists. Riley Maskell started all six games, going 4-2 with a 2.28 GAA. In the regular season he was 17-3-3 with a 1.86 GAA in 22 games played. As for the Peach King’s top regular season threats, defenceman Ry Beattie led the way with 20 goals, followed by Balca with 18 and Cranwell with 17. For Napanee this will mark the third Schmalz Cup appearance in their 30 year franchise history while the Peach Kings are making their seventh in a franchise history that stretches back to 1922. Grimsby has captured the cup in five of those six prior appearances, doing so back-to-back in 2011 and 2012 as well as in 1940, 2003 and 2004. Travel time between the two towns is about three hours. Located in the Niagara Region, Grimsby is noted for its ability to grow peaches due to the unique soil of the region.